As gardeners one of our most important jobs it to look after the soil. 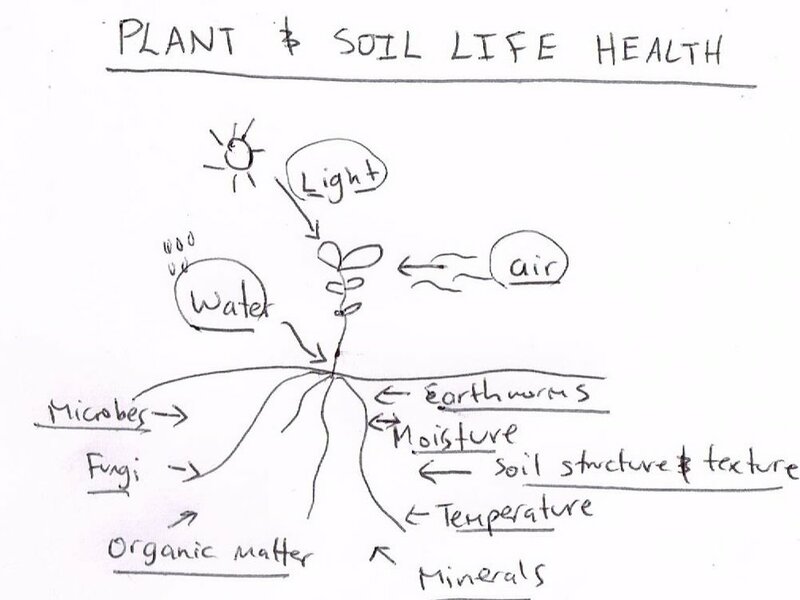 Soil is made up of layers that achieve important purposes, it is a living, breathing organism. It is NOT just dirt - dirt is dead - it has no ecosystem or nutrients to sustain plant growth. Soil on the other hand (diving in deep) has a whole soil structure and food web that includes bacteria, fungi, microbes, protozoa, insects, worms and more than my little brain can ever wrap its head around - it's like a whole other magical world down there, that we don't see! Maintaining this 'world’ is such an important part of successful vegetable production. If we have healthy soils we are growing far more nutrient-dense food to feed our families. And more than this, soil is a wonderful store house for carbon - so if we are looking after our soils, in our own little way, we are helping with climate change. Yes plants need water and sunlight but more so they need healthy soils, which is why we put so much emphasis on learning how to look after your soil before just banging some vegetables in the ground and hoping for success. To achieve all of this - obviously the soil wants minimal disturbance. However, this living, breathing soil also needs oxygen…essentially space. Space for oxygen and water. Oxygen in the soil is vital for plants to move water from the root to the leaves and it is also important for the soil life (that we talked about above) to make organic matter into plant food. Soil needs some looseness to allow water and air to get into it. Yes the earthworms, bacteria and fungi do a lot of work to create these tunnels for the structure of the soil - thank you earthworms, bacteria and fungi for all you do! But to create ideal growing conditions - we need to create a little more room. Which is why we use either our broadfork or Forksta to do this. These tools are able to gently loosen the soil and get air down deep without flipping it over or causing disturbance to the organisms and ecology in the soil layers. The tines let water and air get into the soil, leaving its structure and profile in the same place. The looseness in the soil also creates a great environment for root growth, and building soil. We aren’t forking all the time - just between crops depending on what had been in there. With more space - deeply rooted plants are able to reach down further for water and nutrients in the deeper layers of the soil. If you want to grow great crops with close spacing (a whole other blog could be written on this!) you need to have soil that is lovely and loose and aerated. So by improving aeration, adding organic matter and minerals, limiting compaction, growing cover crops (again a whole other blog to talk about the benefits of this can be written) as well as using crop rotation - you are on your way to improving your soil for vegetable production. 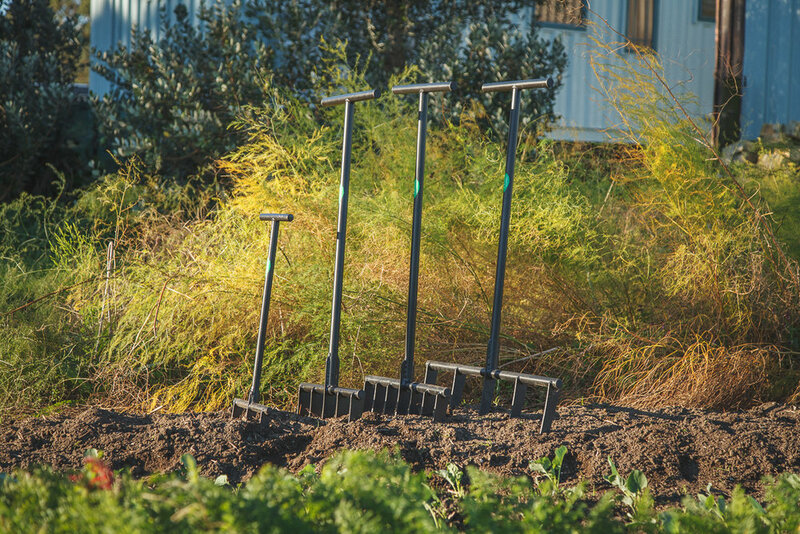 Check out our website for more information on our range of Crafty Gatherer Forkstas and broadforks http://craftygatherer.co.nz/shop/garden-forks.